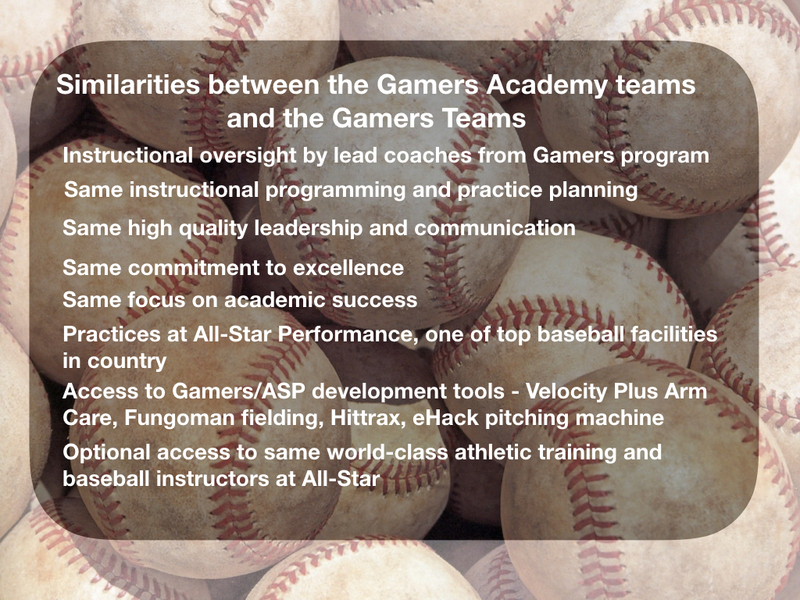 Is the Gamers Academy Program Right for You? 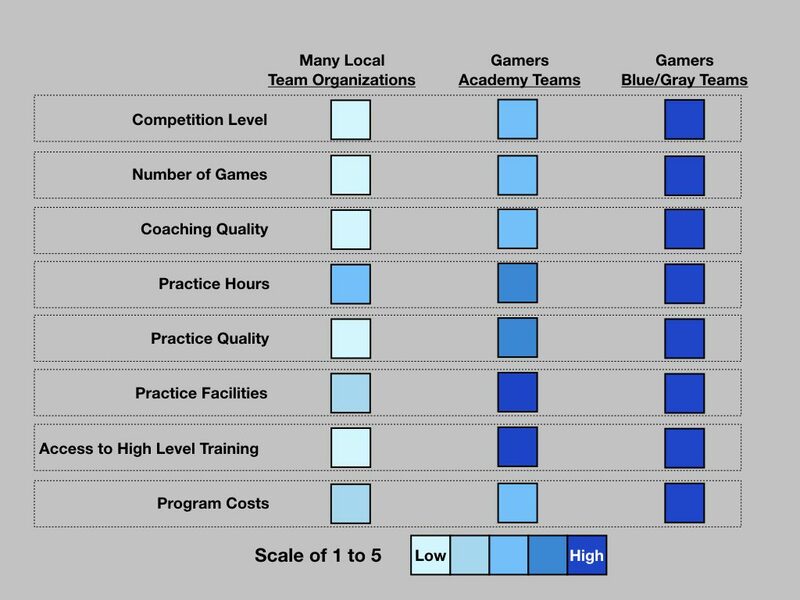 We recognize that the Gamer Academy program may not be right for every player. 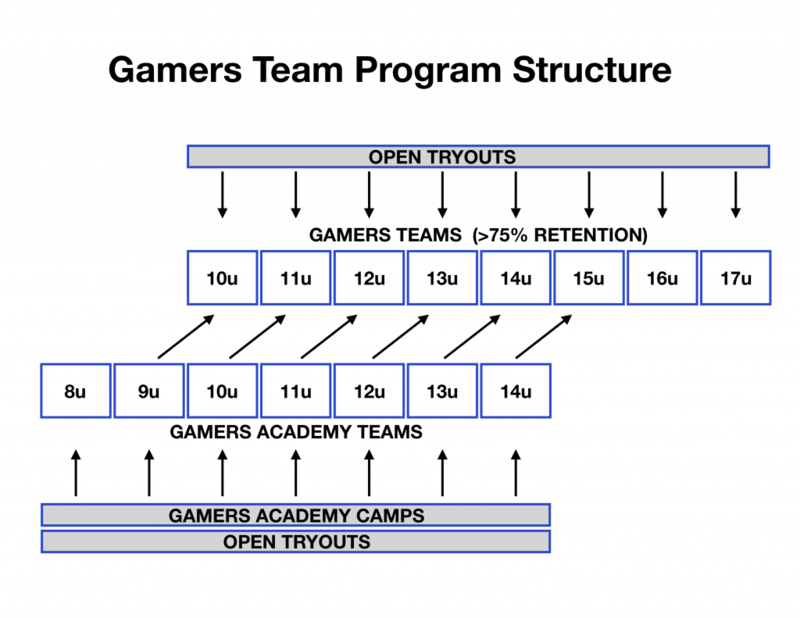 If you answer yes to these questions, then the Gamer Academy program might be right for you. Are you looking for a consistent, comprehensive team program that provides player development from 8u through high school? 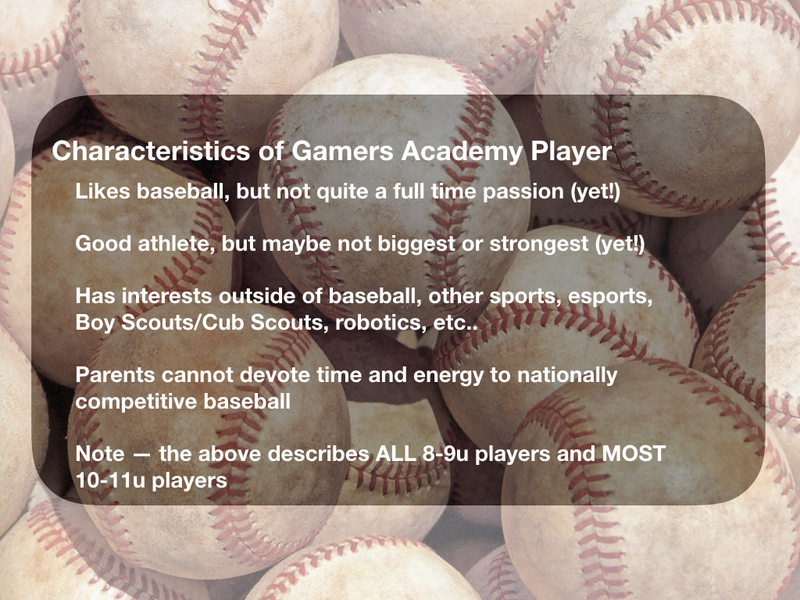 Do you have the desire to develop your baseball skills and athleticism? Are you willing to work hard to develop skills and learn the right way to play the game? Do you enjoy structured and fast-paced practice and repetitions? Do you want to be affiliated with a well organized, respected team program? 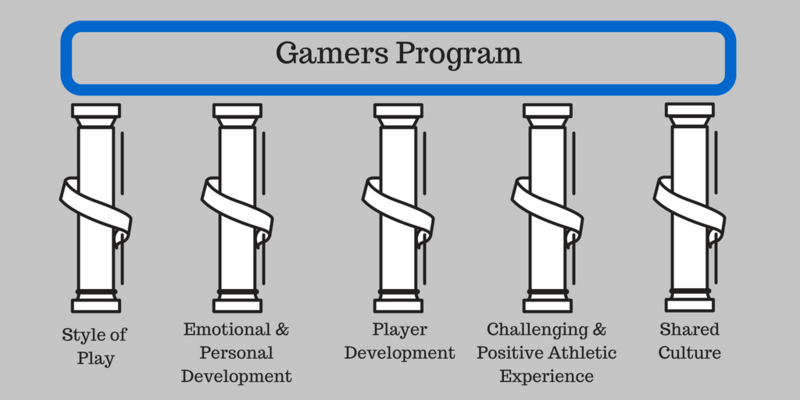 If you answer yes to these questions, then the Gamer program may be right for you. We encourage you to contact us and register for tryouts. 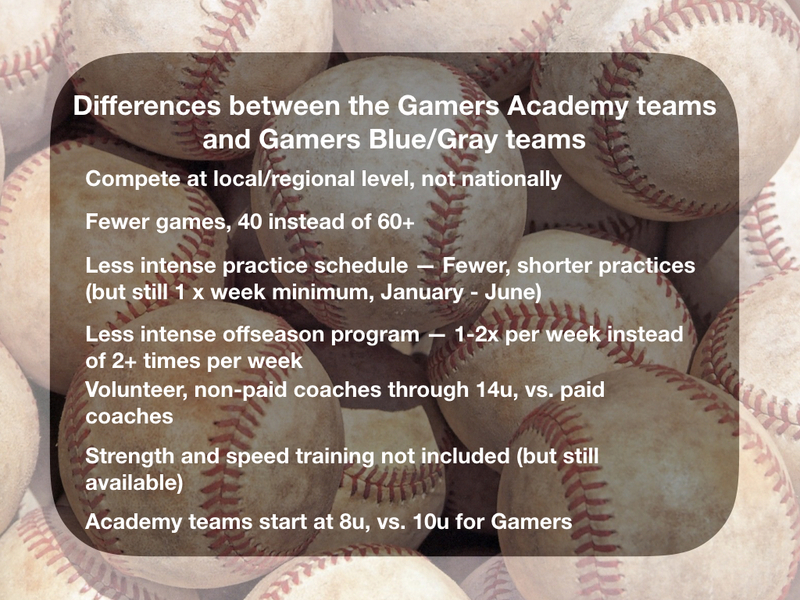 Are you a current coach and interested in bringing a team into the Gamers Academy?